Uganda has undergone several reforms in governance of the health sector. 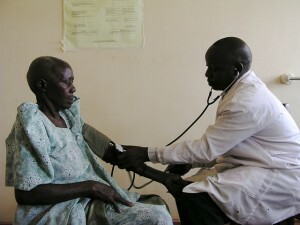 One of the profound reforms has been the radical shift in management of medicines from the “pull” approach—health facility staff participated in determining the medicines needed, to the “push” approach—the distribution of a standardized kit of essential medicine to health facilities irrespective of the disease burden and patient population. This paper is based on multi-site, mixed method cross-sectional study on governance in the health sector commissioned by Transparency International. It revealed that this shift affected delivery of essential medicines for rural and hard-to-reach frontline health facilities. Although there were indications that centralization had minimized inefficiency due to over invoicing, abuse of medicine funds and re-allocating funds meant for medicines to other recurrent items, it led to the supplying of large quantities of medicines that are not aligned to the disease burden and needs of some health facilities.